What do you call that new skyscraper in New York? 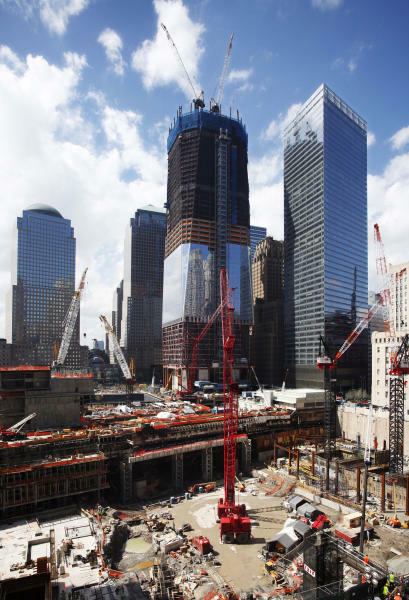 NEW YORK (AP) — When President Barack Obama came to New York City this week, his first stop was at that tall building under construction at the corner of West and Vesey streets. You know, One World Trade Center. Or perhaps you might know it as the Freedom Tower. Or ground zero. More than a decade after 9/11, no one's quite sure what to call the spot that was once a smoldering graveyard but is now the site of the fast-rising, 1,776-foot skyscraper that will replace the twin towers. Sarah Barber, a preschool teacher from Stewartsville, N.J., says that no matter how much construction is done, no matter how many buildings go up, "it will always be ground zero to me." "You can't forget what happened here," she said on a visit the same day as Obama's. "It's still raw because it happened in our lifetime." But Julie Menin, chairwoman of the community board representing the neighborhood, says: "The majority of the people in lower Manhattan are calling it the World Trade Center site." Mayor Michael Bloomberg, who accompanied Obama on Thursday, also says the site should be known as the World Trade Center. In a speech around the 10-year anniversary of the attacks, he said while people would never forget ground zero, so much progress had been made that it was time to call it something else. The White House apparently agrees. Official guidance on Obama's visit referred to the site as the Port Authority of New York and New Jersey's One World Trade Center. Obama toured the 22nd floor and later signed a beam, painted with the words "One World Trade Center," that will be used in the construction. The skyscraper, expected to be completed in 2014, was initially named Freedom Tower in 2003 by then-Gov. George Pataki. To many, the name conveyed resilience, even defiance. But others found it too provocative and worried that it could make the tower an even more tempting target for terrorists. 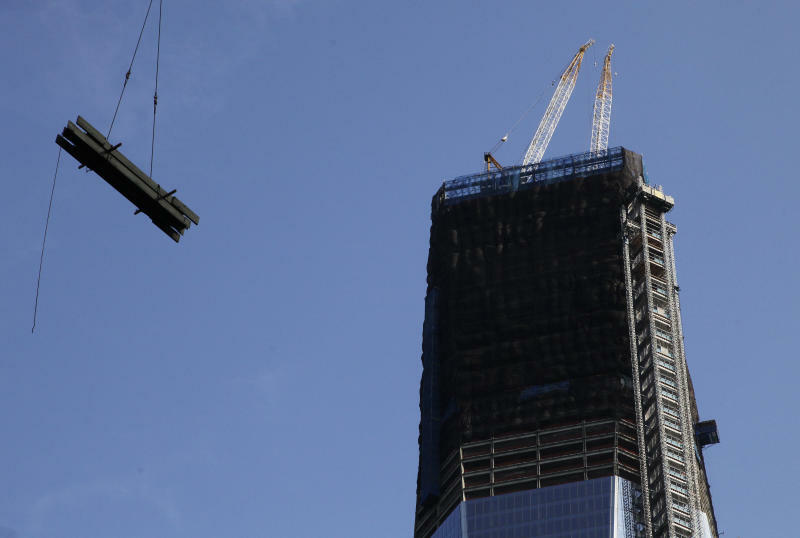 The name was abandoned in 2009 in favor of One World Trade Center in what the Port Authority portrayed as an effort to help the agency market the building to commercial tenants. 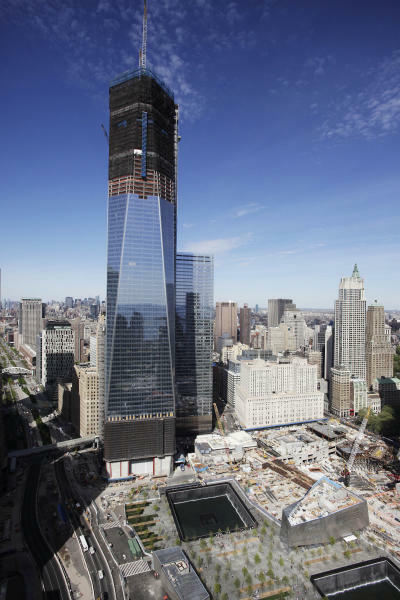 The agency's chairman said at the time that "World Trade Center" is "easiest for people to identify with, and frankly, we've gotten a very interested and warm reception to it." Some people, like first-time visitor Laurie Roley of Wenatchee, Wash., find themselves a little unsure of how to refer to the site. "We've heard different things about what to call it, so we're confused," she says. Ground zero originated at the end of World War II as a military term for the detonation site of atomic bombs, then came to be used more broadly to mean a center of activity, according to linguist Ben Zimmer, who has written on the subject. News organizations began using the term for the destroyed World Trade Center within just hours of the Sept. 11, 2001, attack. "It served as a very useful label in the same way that '9/11' became a shorthand," Zimmer says. But "as the building has risen, using that term ground zero seems inappropriate because it is the site of construction and not destruction," he says. "If you're going to work in that building, you wouldn't say you work at ground zero. That wouldn't make any sense at all." He says ground zero could remain common usage in discussing such things as illnesses suffered by those who cleaned up the site, since "that's specifically anchored to that time and place, what they experienced." Visitor Dana Blood of Pine Prairie, La., still calls the area ground zero out of habit but figures she will refer to it as the World Trade Center site by the time it's all done. "It's not ground zero to me, then," she says. "The site of the devastation — it's not that anymore."